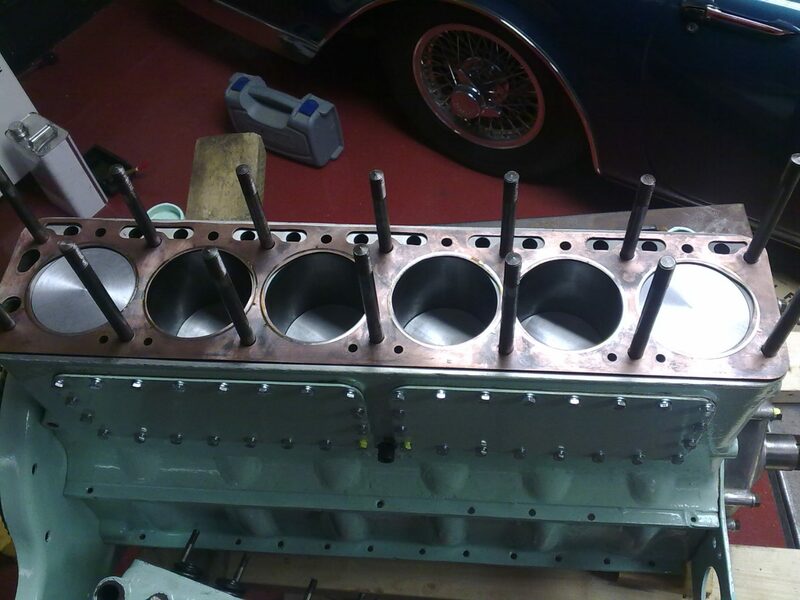 We are able to carry out standard, fast road or full race engine builds, we always look into the possibility of upgrading items such as bolts, bearings, head gaskets, etc, to achieve a more reliable engine even in standard form. Our engines are supplied with a build sheet and photographic record showing detailed parts installation and specifications which may differ from standard, especially in full race trim. 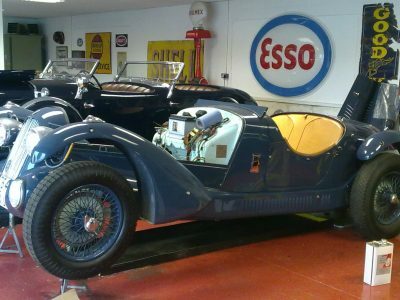 We work closely with a local engineering company who share our passion for classic cars and engine building in particular. If we find that a certain part is no longer available we can implement its manufacture from a pattern or drawing. Nous pouvons restaurer votre moteur en version standard, sportive ou compétition . Nous proposons toujours des améliorations techniques (joints de culasse, roulements à billes, visseries, etc), pour apporter une meilleure fiabilité même pour un moteur standard. Avec toute restauration de moteur, nous vous fournissons un dossier comportant une fiche de travail et un reportage photos vous indiquant l’installation détaillée des pièces et les spécifications qui peuvent différer de la norme. Nous travaillons en étroite collaboration avec une société d’ingénierie locale qui partage notre passion pour les voitures classiques et la construction de moteurs en particulier. Si une pièce n’est plus disponible, nous pouvons la fabriquer à partir d’un dessin. 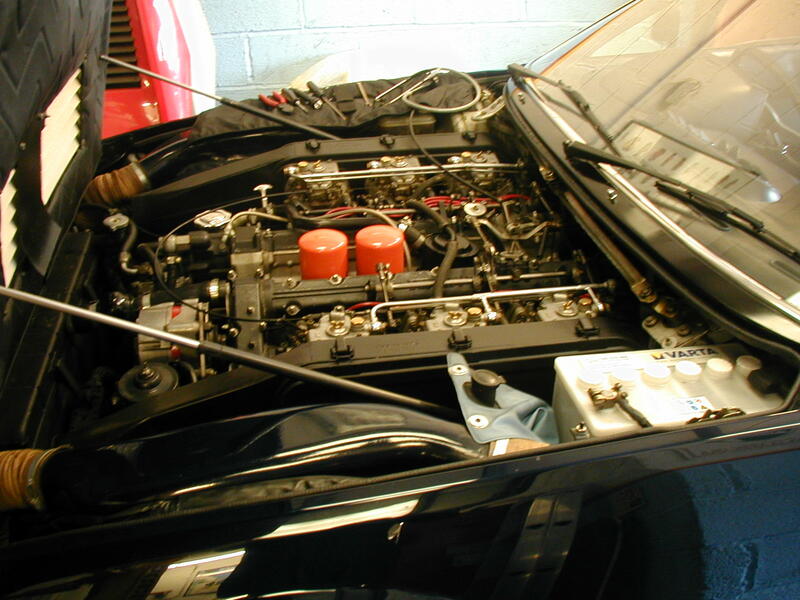 Here, we are replacing a head gasket and exhaust manifolds on a Ferrari 400 V12. 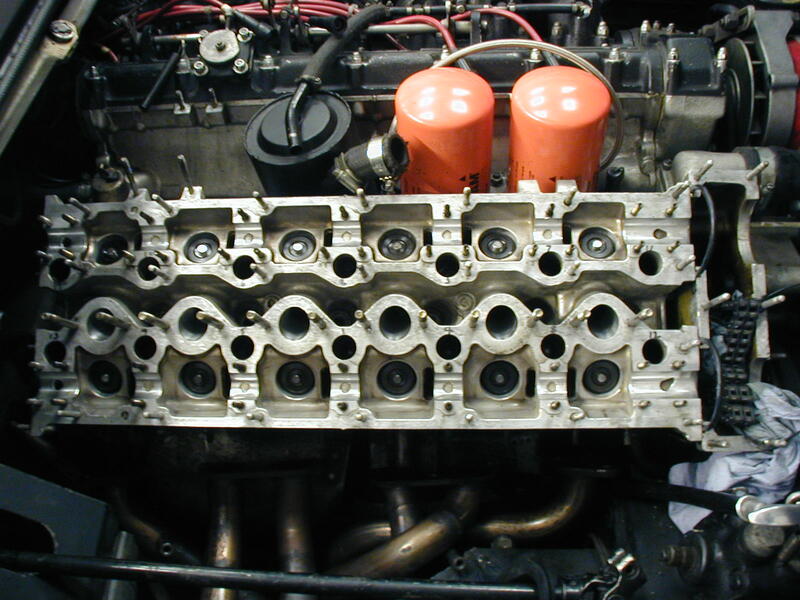 Using genuine Ferrari head gaskets is a must on these engines as they can burn lesser quality head gasket material very quickly, resulting in the whole operation needing to be carried out all over again. Over the years we have acquired all of the tools to undertake operations like this in-house with ease, saving the customer both time and money. 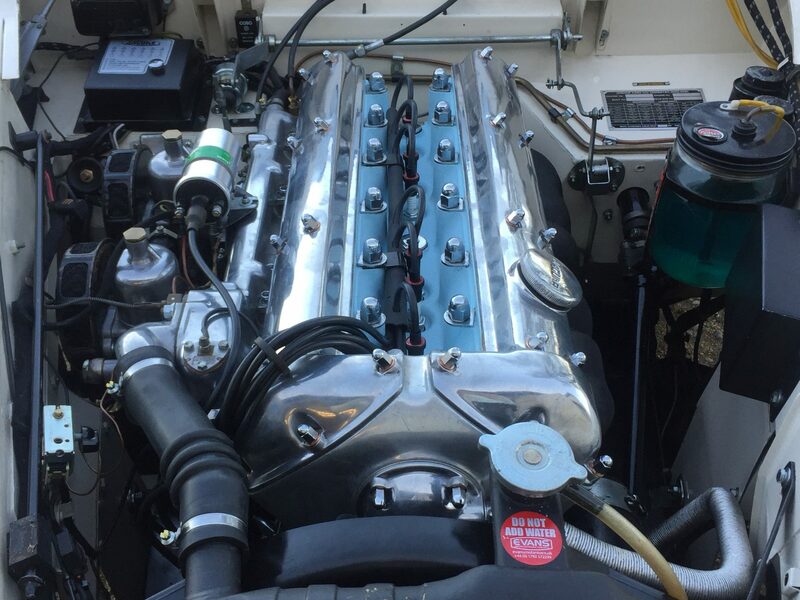 The Ferrari engine all reassembled after replacement of the head gaskets and new Stainless steel exhaust manifolds installed, final tuning of carburettors and then road test. Most mechanics would find the sight of these Weber carburettors daunting just to look at never mind having to set them up. If your Ferrari is running a little off tune why not let us set it up as it should be and start enjoying that lovely V6, V8 or V12 sound again. 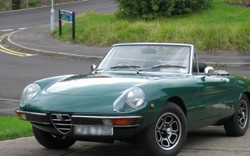 Alfa Romeo Spyder in for cylinder head overhaul, unleaded valve seats, new valves and fast road cams. Before work starts! Cylinder head ready to be installed with new carburettor mountings in the later hardened rubber material. Fast road cams should give another 20bhp and make the car feel lively and crisp! Back at the clients ready to be enjoyed! 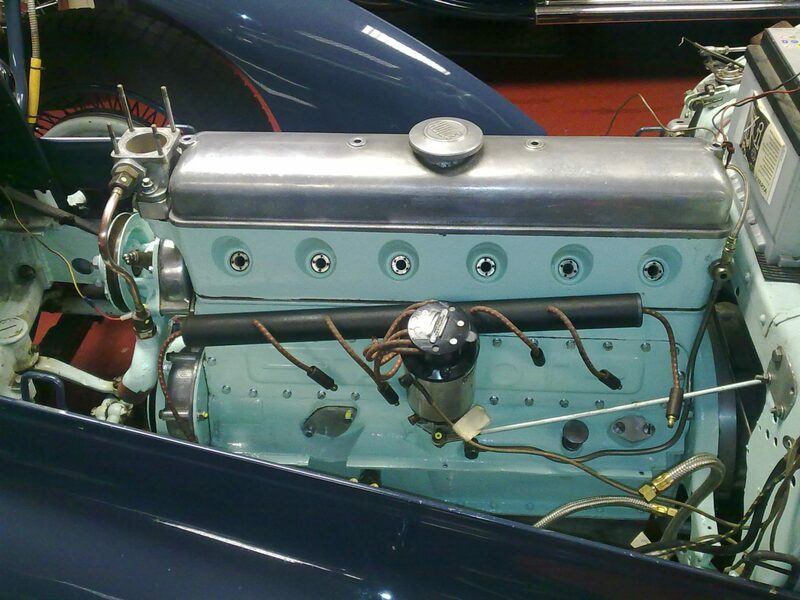 This shows the Talbot-Lago cylinder block, all water jackets had been removed to clear out silt which builds up in the lower part of the water system. New main and big end bearings, new pistons and rings. Copper head gasket was within thickness so was re-annealed. 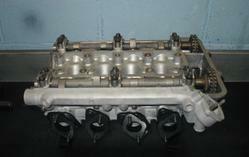 This is the Cylinder block with Cylinder head installed and all ancillaries being assembled. The very rare side draught Solex carburettors were rebuilt and ready to be installed. The Talbot Lago in the workshops awaiting engine installation. An engine rebuild is always a good time to clean and repaint the engine bay to compliment the new engine. 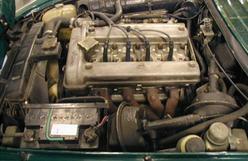 The Cylinder head of this Jaguar XK150 has been removed as part of a major engine rebuild. This was necessary because of the fitting of an inferior lower timing chain tensioner which broke up and sent pieces of swarf all around the engine and scoring both the crankshaft and cylinder bore walls. 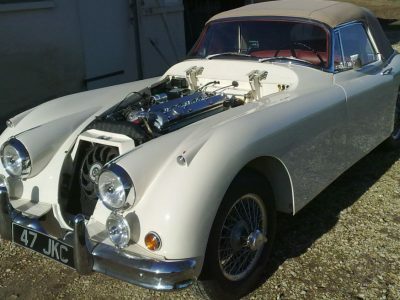 Type “B” 3.4 Jaguar XK150 SE undergoing a full engine build. The cylinder head had hardened seats inserted, new valves, springs, cam bucket guides and new cam buckets. The head had David Newman cams installed, these cams are noted for giving a smooth idle with lots of torque in the mid range. 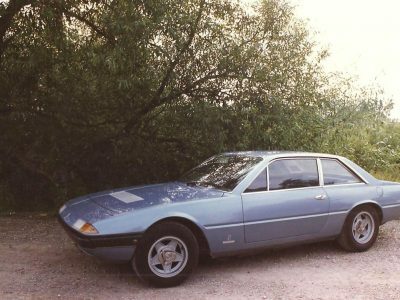 The head was then painted the correct “Sky Blue” for 3.4 SE cars. 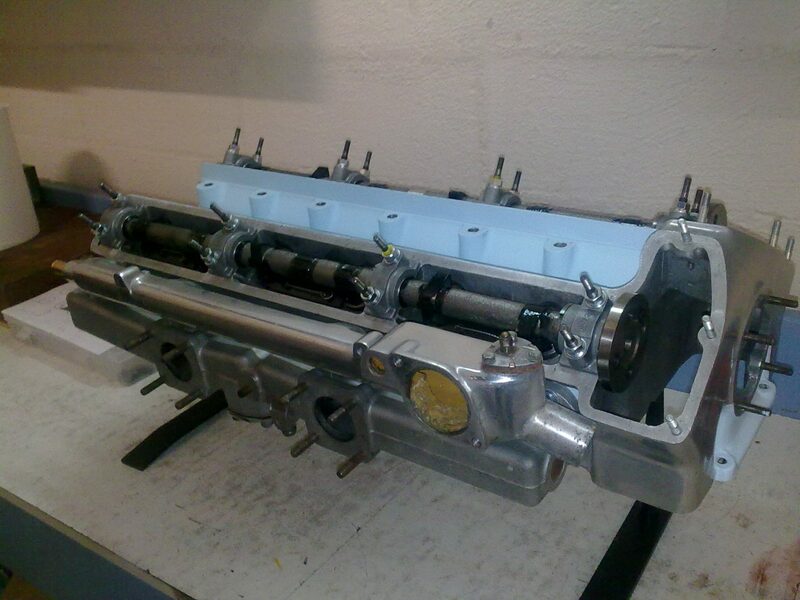 The finished engine rebuild just before the first road test.